CO-Gas Safety is an independent registered charity which works to try to reduce accidents from Carbon Monoxide (CO) poisoning and other gas dangers. We lobby for changes, which will help to achieve this. We also help and advise victims whenever we can. This charity runs almost entirely on volunteers and relies on donations. Please donate to save lives and preserve health. Pimlico Plumbers founder, Charlie Mullins, is urging others in the trade to follow his lead and back a national campaign aiming to raise awareness for the dangers of carbon monoxide (CO) poisoning. 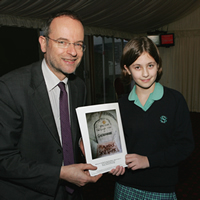 The entrepreneur recently joined MPs, victims of the lethal gas and primary school pupils at a special reception held at the House of Lords, organised by independent, registered charity CO-Gas Safety. The charity used the event to officially unveil 15 years of data collected on deaths and injuries sustained due to unintentional CO poisoning. According to the research, over the period 594 people have died as a result of the silent killer. Solar Powered Generator – Could save your life! Company Registration No. 03084435. Charity Registration No. 1048370. Our policy with regard to granting permission is that usually permission will be granted to publish data & material from our website and other publications provided this is not used for profit and provided there is a clear statement about where this came from and our website www.co-gassafety.co.uk is quoted on all material used.